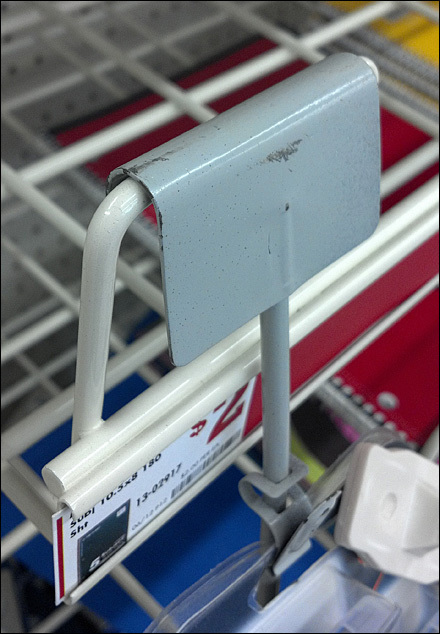 This Strip Merchandiser Mount for Wire Productstop (and Grid) is a first-of-a-kind find. But in addition to gripping the Wire, it automatically creates its own Metal Plate Label Holder. I can see where a custom mount like this would be attractive if your entire store were outfitted with Wire shelf edges. 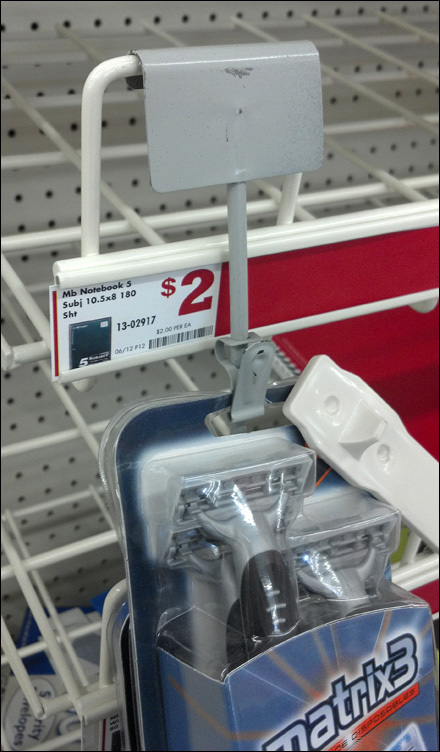 But if not, maybe one of the many other standard Strip Merchandiser mounts would satisfy. CLICK the thumbnail for a better look.